According to Pew Research Center (2017), only 22% of women personally own guns, roughly about half compared to 39% men gun ownership. Yet a study from NCBI (National Center for Biotechnology Information) shows that 47% of US women at least once had to avoid doing things they needed to do and 71% avoided the things they wanted to do, in order to prevent themselves from becoming crime victims. 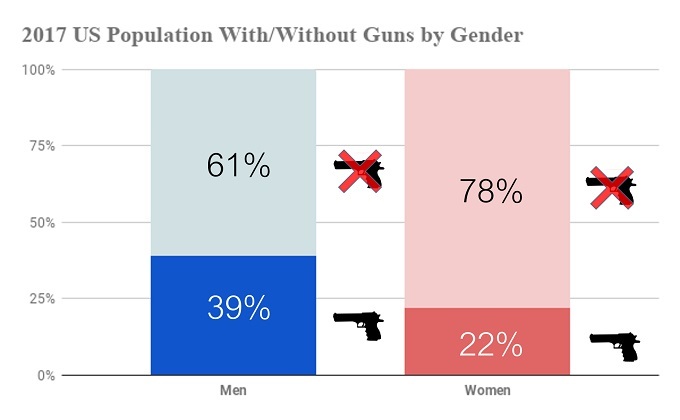 With these facts in mind, one wonders why only 22% women own guns and not more? Guns for Women : A Brand New Market? During March 13-17, 2017 and April 4-18, 2017, Pew Research Center conducted a national randomly selected survey on 3,930 U.S. adults, including 1,269 gun owners. Participants provide data via self-administered web surveys. A tablet and wireless internet connection were provided for people who didn’t have internet access at home. 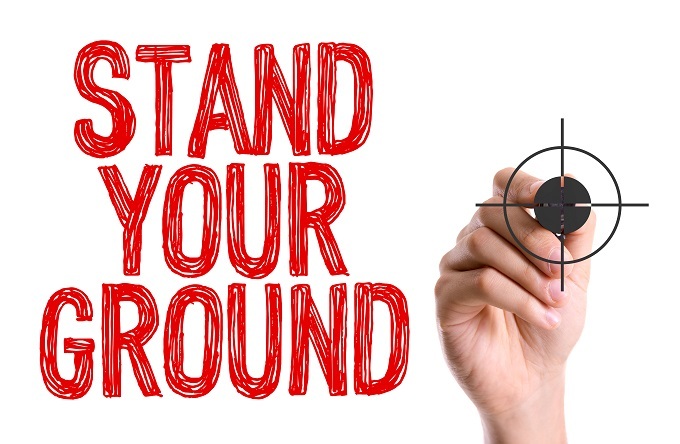 Results from the survey indicated that 22% and 39% were women and men gun owners respectively. Since there were 161,991,900 female and 155,030,700 male in the US (exclude Puerto Rico), we can conclude that there are around 35,638,218 (22%) women gun owners and 60,461,973 (39%) men gun owners in 2017. Within the non gun-owners, 45% of women could see themselves owning a gun in the future, while 62% of men say the same thing. Iinterested in shooting long range but don’t have a long range scope, see Best Long Range Scope and Long Range Scope on a Budget. 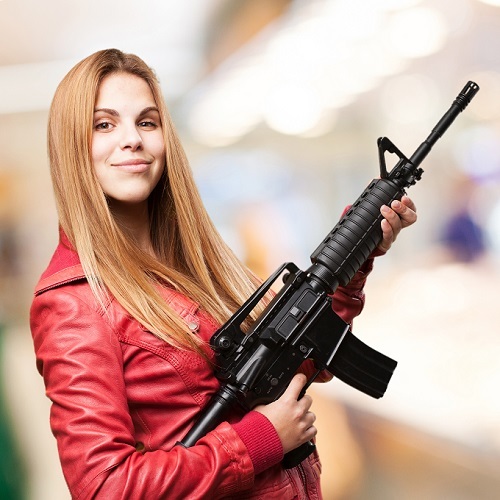 In order to understand women gun ownership a bit more, we drill down specifically on what motivate women to own guns in the first place. 92% women and 91% men gun owners cite protection as a reason why they own guns. Thus protection is viewed as an equally likely reason for both women and men. However, when question is changed to whether protection is a major reason, 71% of women gun owners say yes while only 65% of men state that it is so. Furthermore, far larger shares of women (27%) than men (8%) who own guns say protection is the only reason they own a gun. That’s more than 3x for women owning a gun purely for protection. Reasons to own guns other than protection include but not limited to hunting, sport shooting, collection and jobs. Thus, at first glance we might conclude that women and men own guns for similar reasons, protection. But when investigated further, it is clear that men has more “benefits” from gun ownership (i.e. hunting, sports shooting, collection etc.) compared to women’s. 24% of white women say they’re gun owners, while in comparison, 2x of that percentage or 48% of white men say they own a gun. Non-white women report only 16% gun ownership. Gun owners who see their local community as unsafe are not significantly more likely than those who say they live in a safe community to say protection is central to why they own a gun. There is a significant link between owning a gun for protection and perceptions of whether the world has become more dangerous. Among women gun owners, handguns are the most popular (71% ownership), followed with rifle (50%) and shotgun (44%). Women and men are equally likely to say there were guns in their household growing up. But men who grew up in a gun-owning household are far more likely to say they went hunting, shooting or to a gun range when they were growing up. 5% of women who didn’t grow up with guns in their household say they went hunting often or sometimes, compared with 10% for men. Average age for women to first own guns is 27, while 19 is the average age for men. From the data above, you’ll see that 27% of women gun owners have bought their guns for only 1 reason, personal safety. That’s a big achievement! Only 8% of men gun owners would do the same thing, buying guns solely for protection. The absolute number of women who own guns solely for self-defense is estimated at 9,622,319. While men’s number is 4,836,958. That’s quite a difference. Owning a gun, enroll in gun self-defense course and periodic training aren’t cheap. Yet some of these women, without the thrill of hunting not the enjoyment of shooting sports, go out and purchase firearms. The even more amazing thing is that there was no statistically significant difference in the percentage of violent acts committed against women and men. Perhaps women are more conscious of self-defense. Or gun industry’s and NRA’s effort since 1980s are paying off. Find the best scope for your airgun here. But contrary to that claim, gun industry and NRA have been catering to women’s needs since the 1980s. In 1993, NRA launched a “Refuse to be a Victim” program which was aimed at women. Armed and Female book by Paxton Quigley was published in 1989. Looking for a scope to put on your AK? SeeBest AK47 Red Dot. Even with the prolonged concerted effort from gun industry and NRA, gun ownership for women is still too low. A study in 2007 named “US women’s choices of strategies to protect themselves from violence” from NCBI (National Center for Biotechnology Information) was conducted by interviewing 1,800 women in US, using cross‐sectional random digit dial telephone survey. Note that 46.5% of all women had to alter things they need to do to avoid victimization at least once in their life. And 70.7% of all women had to alter things they want to do to avoid victimization at least once in their life. Another important finding is that gun ownership rate for women who had been victimized were 17.7%, which is significantly higher compared to gun ownership rate for women who had never been victimized, which is only at 4.6%. Looking for a scope for your 300 Win Mag? See Best Scope for 300 Win Mag. About 1/5 of women in the US own guns. Most women purchased gun for protection. However a large part of women still don’t own guns and need to alter their behaviour by foregoing the things they want to do and need to do in the name of safety. 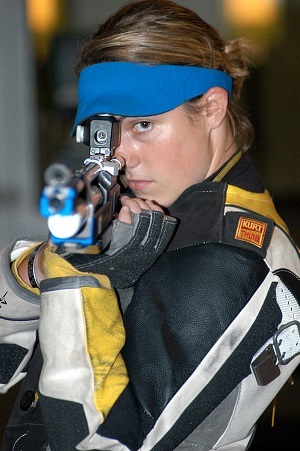 If guns are cheaper, or more women enjoy hunting and sport shooting, we’ll see higher women gun ownership.